Is Religion Still Justified As A Source Of Morality? 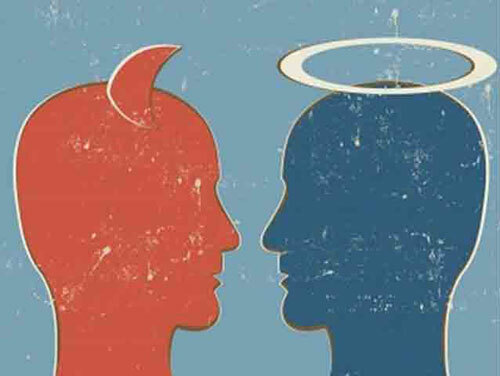 Morality is the principle governing a person’s distinction between right and wrong or good and bad behaviour. Morals play a crucial role not only in a person’s interaction with others but in the development and behaviour of society as a whole and it is important that a person attains the right morals. However, the number of morals are endless and it is quite possible for a person to acquire morals which while suitable for an environment are detrimental for him and society in general. Thus, can Religion act like a Deus Ex Machina (A plot device that resolves a problem) to resolve this conflict of morals? A person’s first introduction to morality is through religion. As an institution religion has helped human beings survive during an age when surveillance and law and order were lacking and society was just being formed. However, the morality afforded by religion is turning into a double-edged sword with people using Religious dogma to commit both kindness and atrocities. Has mankind’s knowledge evolved to such an extent that we no longer need an archaic book or institution for morality advice? A uniform code of morality was useful when civilization was in the nescience to doubt stage, but now considering man has reached the suspicion stage of knowledge and has shown an inclination towards good rather than evil should we still look to religion as a source of morality? Most people feel that they can be spiritual rather than religious. If you look at the upsides, spirituality does have pluses by allowing a person to be good and moral without committing to a rigid institution. A spiritual person would no longer need to follow the rituals or dogma of the church; spiritual people are allowed to make their own morality and decisions and are not held to task by an antiquated rule of law, Also spirituality allows a person to express individuality while a religion focuses more on homogeneity. With spirituality a person is allowed to make their own code of conduct based on their own values and prerogatives, which will lead to a more tolerant and understanding society as a whole which will easily be able to adapt to multiple situations and is mature about dealing with exigent circumstances. However, allowing each person to decide their own morality is unwise by itself because it allows people to base their morality around their own convenience and for their own benefit rather than for their own. Morality is meant to regulate the behaviour of humans and allow us to live peacefully among each other. Morality is understood to implicitly be mutually beneficial to all members of society. However, in many cases people have created their own morality to suit their own needs. Take for example the worker who knows stealing is wrong but will still take a box of pencils from the supply closet or how a bored housewife is alright with committing adultery by reasoning that her husband ignores her. Religion provides a ready-made list of morals that is deemed right and accepted by a number of people and which are beneficial to society as a whole. Additional, Religion also comes along with a social contract that forces humans to adhere to the morals at the risk of ostracism. As can be seen from Asch’s conformity test, people are very susceptible to peer pressure and thus will more likely modify their behaviour to be accepted by their peers. More importantly Religion comes along with an obligation of community betterment and charity while spirituality doesn’t. Charity and giving alms to the poor is central to many religions but is not compulsory in spirituality. Thus, while spirituality focuses mostly on the self, Religion challenges a person to go above and beyond in search of fulfilment. The law provides a code of practices to which society adheres too and unlike religion, these morals are compulsory at the risk of punishment. While religion uses community, supernatural beings and threat of eternal damnation, the law deals with the punishment in the current realm and thus is a much better deterrent to immoral acts, especially for religious and superstitious people. However, Law deals mainly with justice and order rather than ethics. Laws generally force people to remain neutral rather than to be good and charitable. There’s also the fact that people are obliged to follow the letter of the law and not the spirit such that it is quite possible for a person to cheat others without running afoul on any laws. Also, laws tend to be lag behind criminal acts, for example, during the 1990’s there was no law banning voyeurism or filming women without their consent. Only after a crime becomes rampant does a law get passed to ban it. The reason being that laws by definition have to specific and all-encompassing since the risk of false conviction is severe, while, the price for a violation of religious law is inner turmoil and a trip to the house of worship for absolution (I’m not discounting the pain of inner turmoil but if I had to choose between cognitive dissonance and a fine or jail time, I would prefer the cognitive dissonance). However, while religious morals tend to be more flexible when it comes to interpretation, outright change is more difficult to enact. Thus, while a law on abortion can easily be changed based on circumstances, changing people’s mindset towards it takes a much longer time and changes by generations rather than by people. Society can be defined as the immediate environment that a person is affected by. For most people it could be the neighbourhood they grew up in, the city they live in etc. A person’s society may depend on how their mobility and their open-mindedness and thus is a unique facet or wildcard to a person’s personality. If we look at morality in terms of Darwinian evolution, people adapt their morality to fit into their environment and thus just like Darwin’s finches, ethnically similar people may have different strikingly different morality. A Catholic from a poor family may have lesser qualms about stealing than someone from a rich neighbourhood. However, Religion creates a uniform moral code that unites multiple societies and allows intermingling among them. This is done through two ways, one way is that all religions prohibit especially heinous acts like murder and theft, the other way is that each religious group have distinct behaviour and practices which outsiders can identify. Thus, Religion helps in the integration of societies by providing a base template of behaviour and identifiable behaviour patterns. An inescapable fact of Religion is that it is open to interpretation by religious leaders and is thus like a torch, which has both the ability to light up the world or scorch the land. Many religious leaders use a different and specific interpretation of the word to suit their own need and manipulate their followers. While it may be better for each person to read the bible and decide their learnings themselves, most people don’t have the time, experience or expertise to discern ideals from the bible and individual interpretation go against the need of the Bible as a uniform source of morality. In the end, Religious leaders make up an important part of Religion but the huge amount of power they wield coupled with the risk of them masquerading their personal beliefs as religious doctrine makes one wary of wholeheartedly embracing Religious morals. In the end, individual morality is a very convoluted topic because it encompasses culture, circumstances and many other variables. In order for mankind to come together, we need a morality which is uniform, strict but flexible. Considering that Religious moral code fulfils those criteria it should serve as a foundation to our morality. Passion Or A Fatter Pay Cheque?